ROGERS, Ark., (October 4, 2012)—The founders of three Northwest Arkansas businesses that grew to have worldwide name recognition will be the recipients of the Excellence in Free Enterprise Awards presented by Economics Arkansas in honor of the organization’s 50th Anniversary during a fundraising luncheon to be held at the John Q. Hammons Center on Nov. 2, 2012. The legacies of Sam Walton, founder of Wal-Mart Stores, Inc.; J.B and Johnelle Hunt, founders of J.B. Hunt Transport, Inc.; and Don Tyson, a founder and principal developer of Tyson Foods, Inc., will be honored during the luncheon. “We want to honor the entrepreneurial pioneers whose firms achieved the pinnacle of success in free enterprise as we celebrate 50 years of providing economic education in Arkansas schools and we want to encourage people in the community to show their support for free enterprise and for these companies by supporting this event,” said Sue Owens, executive director of Economics Arkansas. Dr. Arthur C. Brooks, president of the American Enterprise Institute for Public Policy Research in Washington, D.C., is the keynote speaker for the event. Brooks is an expert in public policy and a behavioral economist by training; his research and writings have focused on the intersections of economics, entrepreneurship and philanthropy. Brooks is the author of the New York Times bestselling book, “The Road to Freedom: How to Win the Fight for Free Enterprise.” He is also a regular contributor to The Wall Street Journal. The luncheon will be from 11:30 a.m. to 1 p.m. at the John Q. Hammons Center, 3303 Pinnacle Hills Parkway in Rogers on Nov. 2, 2012. Sponsor tables and individual seating are available. Contact Economics Arkansas at 501-682-4230 for more information on table and ticket prices before October 25, 2012. A portion of the purchase is tax-deductible. 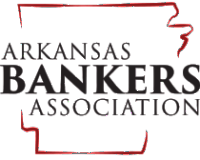 Economics Arkansas is a 50-year old private, non-profit, educational organization promoting K-12 economic and financial literacy that is affiliated with six University Centers for Economic Education and the National Council on Economic Education. Economics Arkansas provides certified professional development training and resources to teachers all over the state of Arkansas. For more information, visit www.economicsarkansas.org.